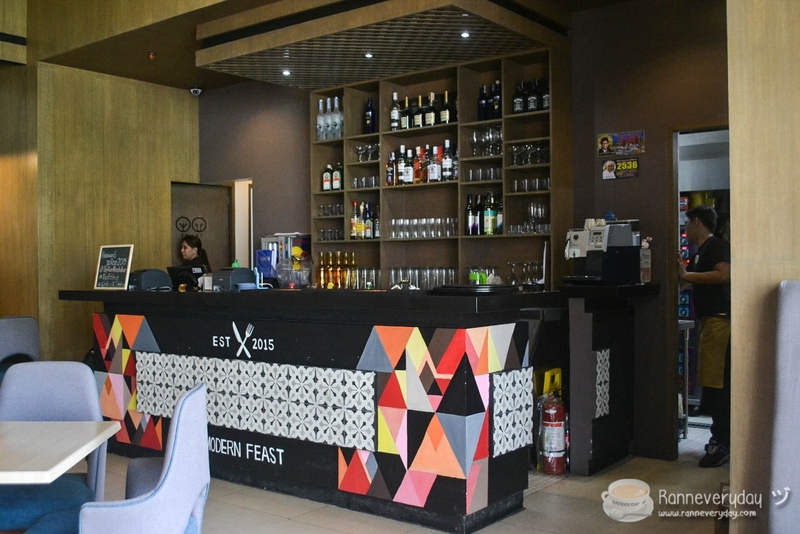 Looking for a place to enjoy dishes with Filipino twist? Splice Resto Bar, located at Greenfield district in EDSA-Shaw is another must-try restaurant to visit for us foodies! I’ve been part of an awesome foodie meet-up with fellow foodies and it is indeed a very sumptuous experience. 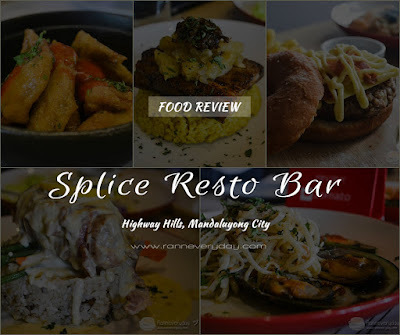 Splice Resto Bar is located at Greenfield District at Mandaluyong, alongside with other restaurants and very accessible to commuters, yuppies and working people as the whole place is one of the busiest area especially during night time. The whole place has a very cozy interior and the high ceiling adds the feel of comfort inside. It can accommodate a hundred of people especially if you are planning to held an event at the restaurant. A perfect dish to try to start of the whole Splice experience is their spicy appetizer, the Sriracha Butter Wings. 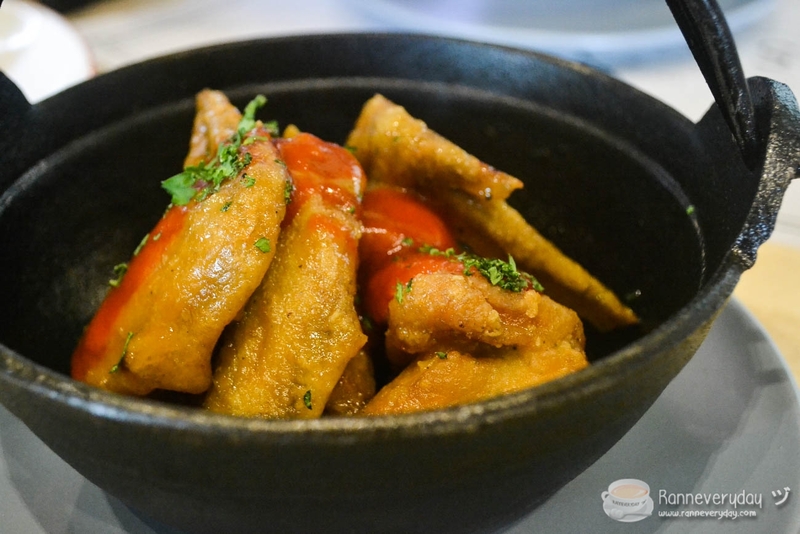 It maybe spicy but you can taste the flavor up to the bones. It’s really good! Another must-try is their Pesto Parmesan Fish and Chips. 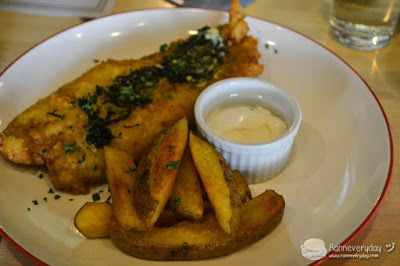 The battered dory fish and also its side dish (the chips) are very crispy and the sauce is indeed a perfect partner for the fish. 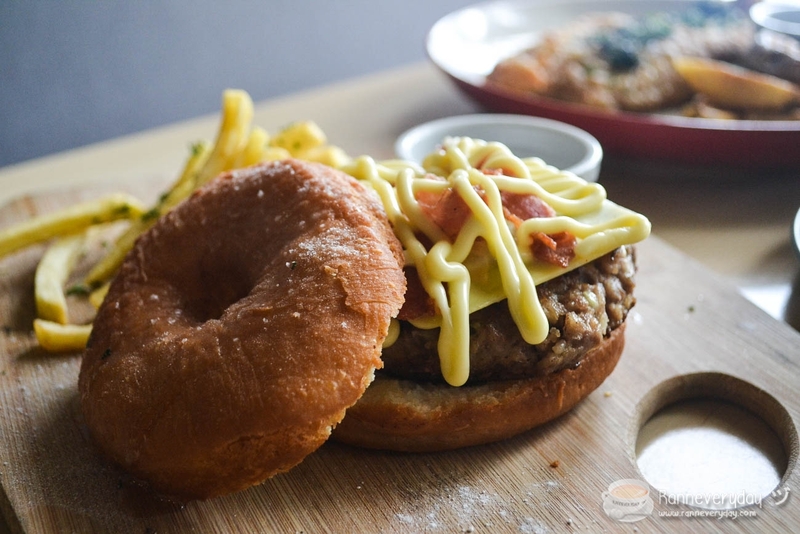 If you are looking for something unique to try, be sure to order their doughnut burgers. One of them is their Homer Doughnut Burger with very thick beef patty, bacon, Japanese mayo and instead of the regular burger bun, they used their very own version of glazed doughnut. 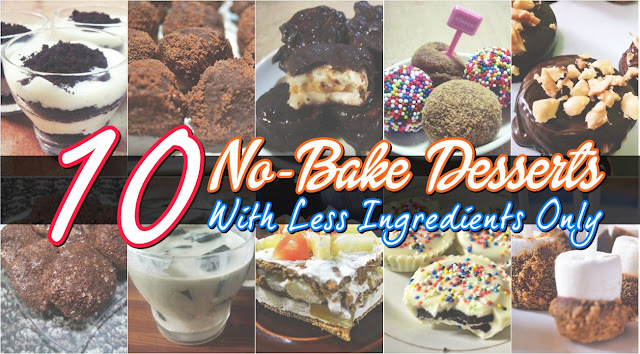 Surprisingly, everything about the whole thing blended well and became my favorite! I just wish they have more Japanese mayo in it but of course, it depends on the foodie (because I like the Japanese mayo more rather than the ordinary one in the market). 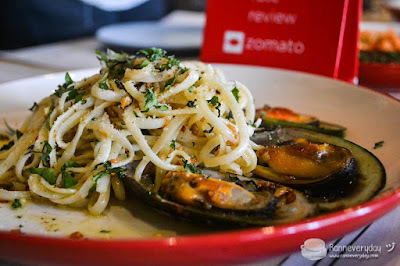 They also have pasta dishes, but what captured my attention is their Dangit and Chicken Skin Carbonara. I first thought after hearing its name, it will be “too salty for sure.” But it’s actually not! 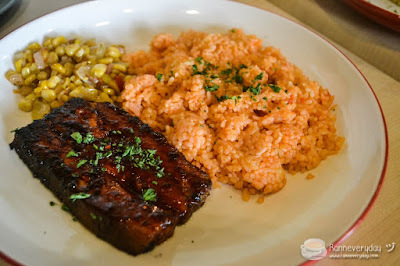 The flavors blended well together and the sauce is very creamy plus the cheese. If you are a fan of seafood dishes then ordering their Tequilla Mussels Linguine is also a must-try. 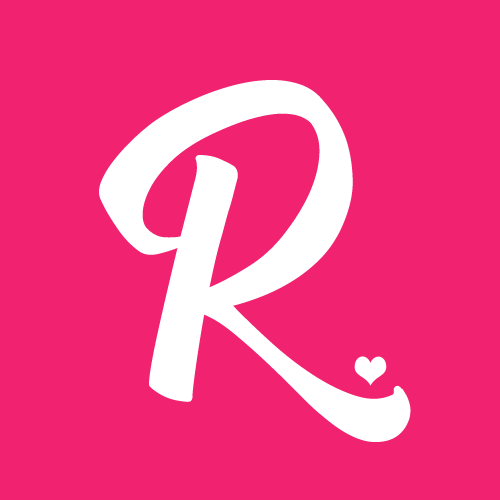 Looking for a meal with rice? Splice has affordable and large serving of entrees like their 8 hour pork belly dishes. You won’t be needed knife and force (hahaha) just to cut those meat as it is very soft and juicy at the same time. 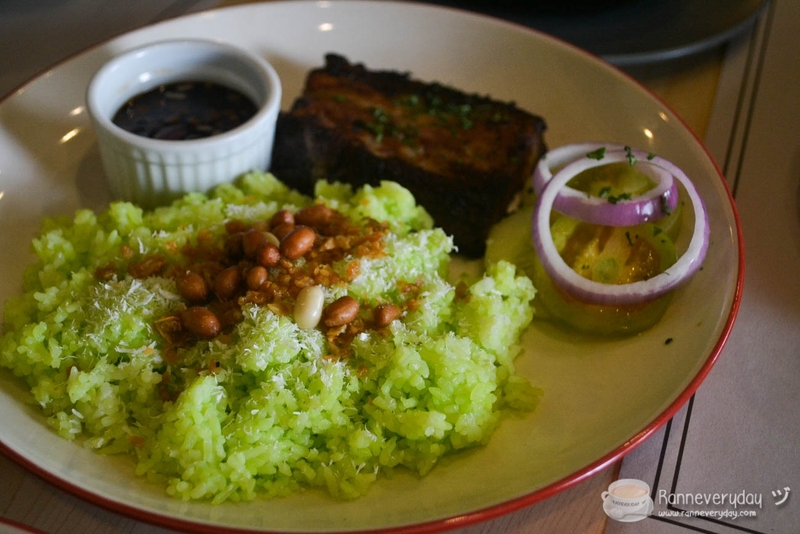 Perfect to partner it with their rice (Italian rice, buko pandan rice or dirty rice). 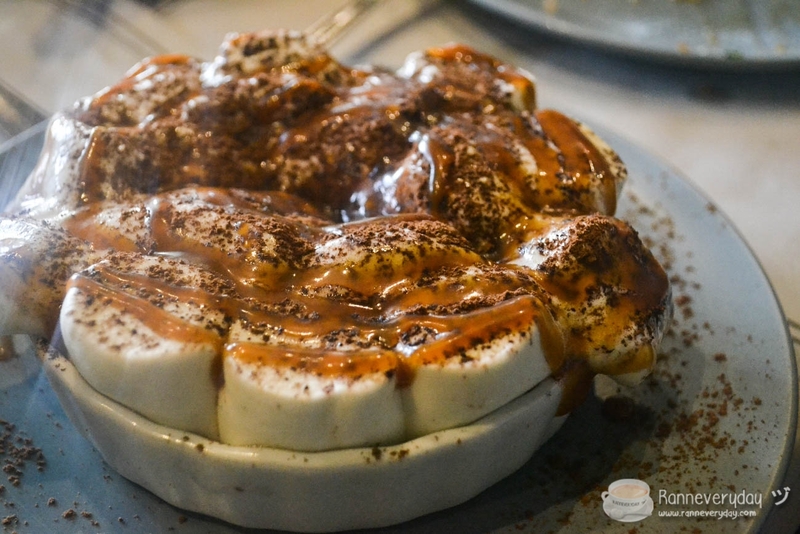 It would be complete without their trying their dessert. Be sure to try their Classic Smores, it’s not too sweet (which is perfect for me) and perfect to eat while it’s still hot. 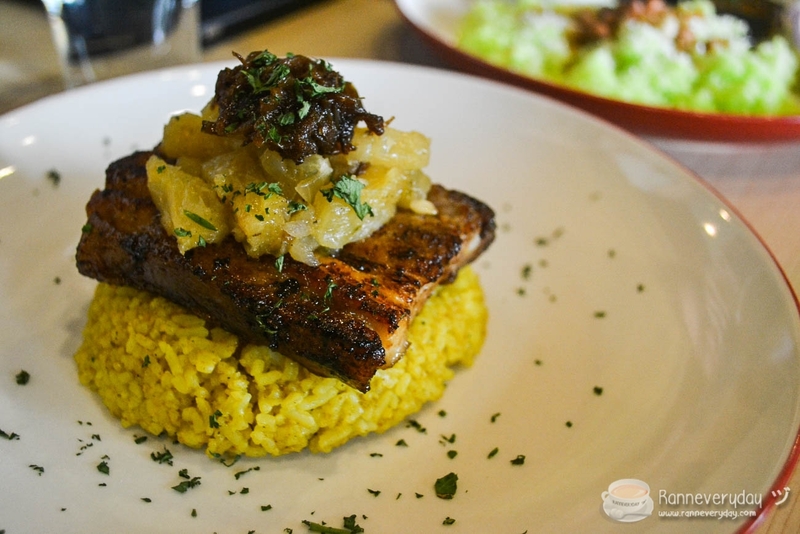 Price wise, the servings of food is perfect for sharing and the prices are very reasonable. 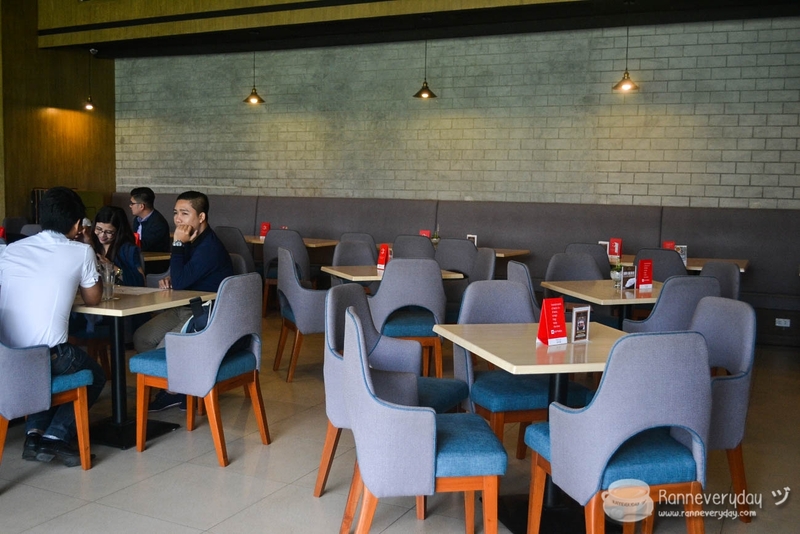 It will be the place that I’ll surely add on my “places-to-visit more often,” especially during rush hours at night (and especially I am most of the time around Shaw Boulevard). 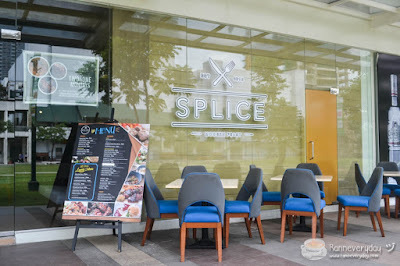 Because aside from having a normal dinner, Splice is very lively at night as they have acoustic bands and other performers to spice up the night. Two thumbs up!